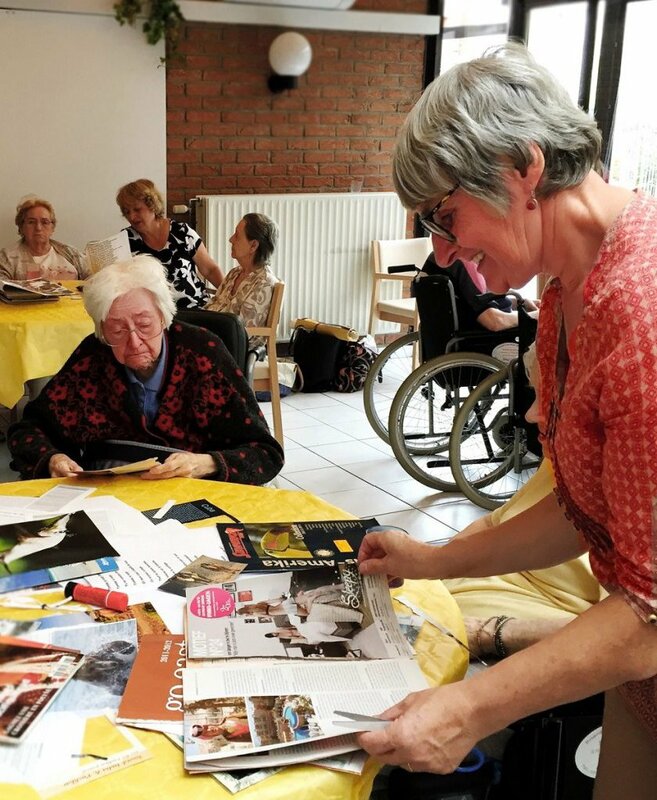 On Sunday, the 3rd of September, volunteers of the Holosophic Society Benelux (HSB) organized another afternoon in the nursing home for the elderly people in Brussels. Sunday is usually a quiet day where there is not much to do, so the elderly people were very happy about the distraction. Some of them recognized us from our previous visit in December 2016 and were happy to see us again. 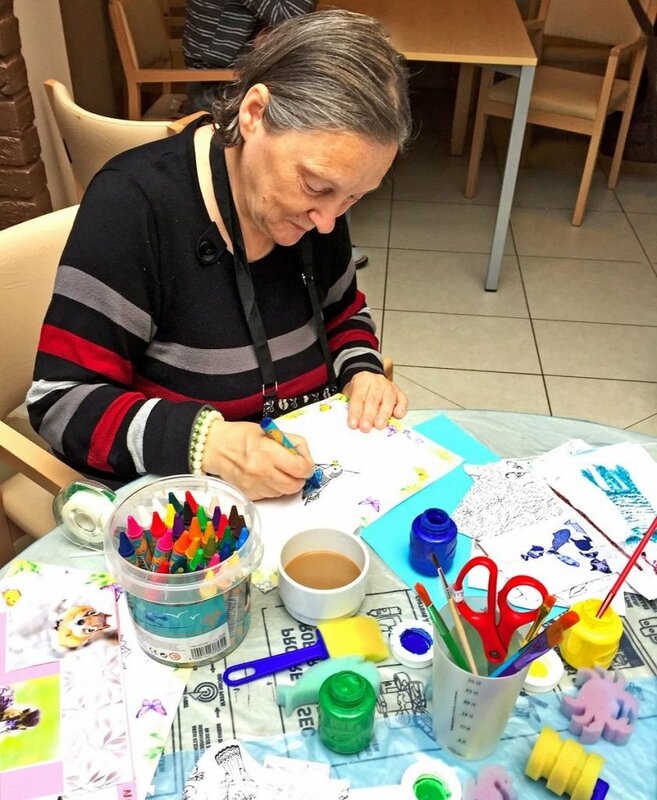 This time we had brought paint, wax crayons and glossy magazines to create collages with different themes like animals and travel, but soon the people voiced their own ideas. For those that did not feel like making collages, we had another table prepared to play simple games and where we could chat with each other. And of course we also again sang the old French songs which the people sang with a lot of enthusiasm. 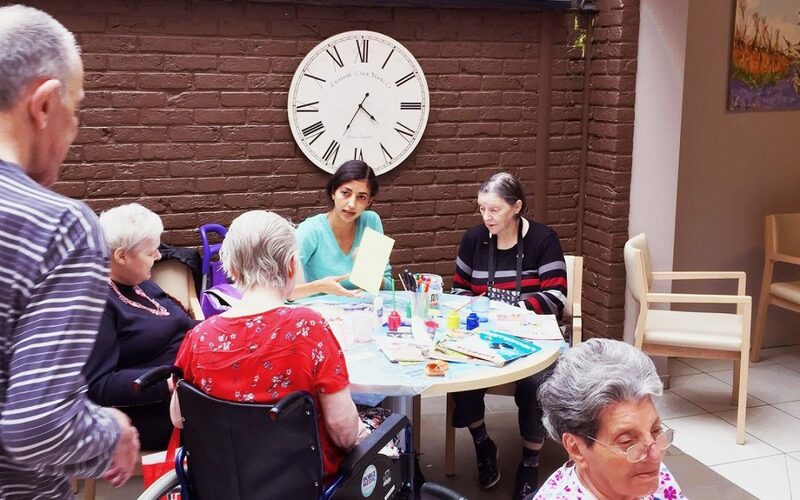 It was a cozy afternoon and the residents enjoyed our company. We will definitely come again for another visit.